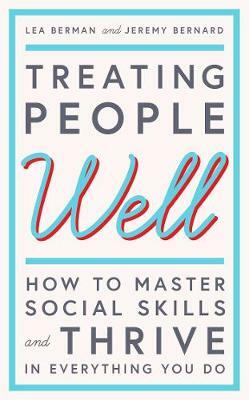 Written by two former White House Social Secretaries, Treating People Well is a guide to developing social skills in order to build more successful relationships. Using their unique access, the authors describe the behaviours that shape how an individual is perceived. While manners and etiquette may not seem relevant in today's technology-burdened, politically contentious world, modern life has caused many people to feel disconnected and uncomfortable in their interactions with others. This essential book gives readers the tools to live each day more positively, forging connections based on trust and mutual respect. The authors offer advice such as how to develop confidence, be consistent, use humour, listen carefully, radiate calm, resolve conflicts quickly, be honest but never cruel, cultivate loyalty, own your mistakes, work with difficult people, and attend to details, whether in the office or at home, dealing with friends or colleagues, as a student, a new employee or an experienced executive. Working in the most charged workplace possible, Lea and Jeremy honed these skills over years, striving to apply kindness, empathy and genuine caring to achieve success.